While iOS 12 is known for numerous high-end features and improved performances, updating your device to iOS 12 might alos cause some unwanted issues. For instance, a lot of users have been complaining of iOS 12 update bricks iPhone lately. Truth to be told, every update comes with a certain risk. This is why it is recommended to take a backup of our data beforehand. Nevertheless, if your iPhone bricked after iOS 12 update, don’t worry. Read on as I have handpicked the best ways to fix this problem after getting a hands-on experience of it. Part 1. Why iPhone got bricked after iOS 12 update? Part 3. 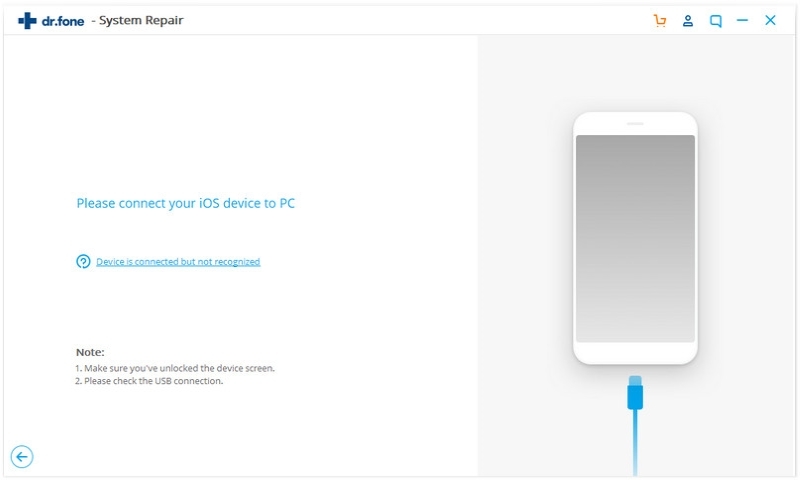 How to fix iPhone/iPad bricked without data loss? Part 4. How to fix iPhone/iPad bricked with iTunes? Just like you, iOS 12 bricked my iPhone as well. Though, there could be different reasons for causing this problem. Ideally, it could have happened due to the following complications. • iPhone/iPad got bricked after iOS 12 update if the downloading or installation is not completed. • iPhone is powered off and iOS 12 installation process is stopped in between. • iPhone/iPad is forcefully restarted during the update. • If you are using an outdated version of iTunes while updating your device (via iTunes). • Sometimes, firewall settings on your computer can block certain ports related to iTunes that can halt the process in between. • If the Apple server is extremely busy or has stopped responding in between, it can brick your device. That is why it is recommended not to update your device on the initial days of its release as the server might be overloaded. Since iOS 12 update bricks iPhone quite a bit, you should know how to resolve this problem instantly. 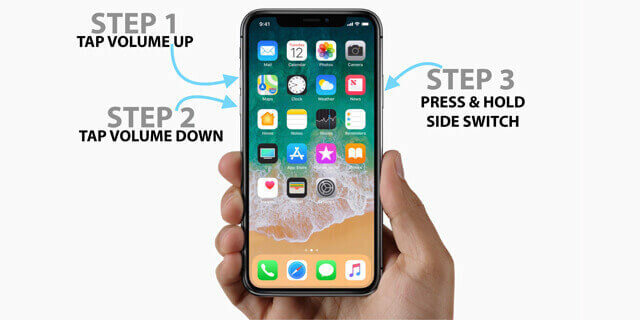 The quickest way to do this is by force restarting your iPhone. When we force restarts an iPhone, it resets its ongoing power cycle. 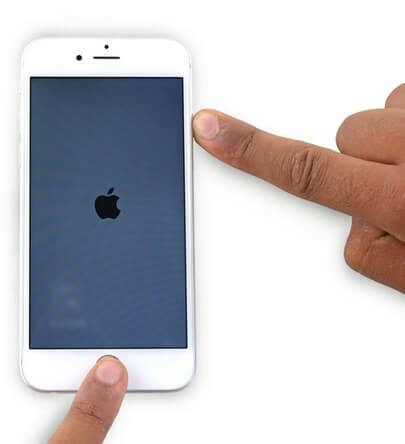 If you are lucky, then a simple force restart would be able to fix iPhone bricked after iOS 12 update problem. When iOS 12 bricked my iPhone, I did the same and got constructive results as well. Though, you should know that the key combinations to force restart a device are a bit different for various models. Press the Volume Up key for a second or less (quick-press) and release it. As soon as you release the Volume Up key, quick-press the Volume Down key as well. Without any ado, press and hold the Side button for another 10 seconds. Once your phone is restarted, let go of the Side button. At the same time, press the Volume Down and the Power (wake/sleep) keys. Keep holding them for the next 10 seconds. The device would vibrate in a bit as it would be restarted. Let go of the keys once the Apple logo would appear on the screen. 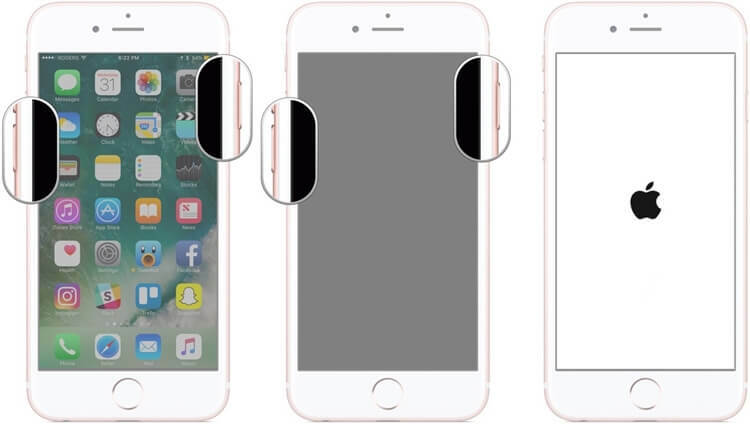 Press and hold the Power (wake/sleep) key as well as the Home button at the same time. Keep holding them for the next 10 seconds at least. Let go of them as your phone would be restarted. The best thing about this technique is that all the existing data on your device would be retained and it is very easy. Nevertheless, chances are that the method might not work as it does not have a 100% success rate. But it doesn't hurt to have a try, right? 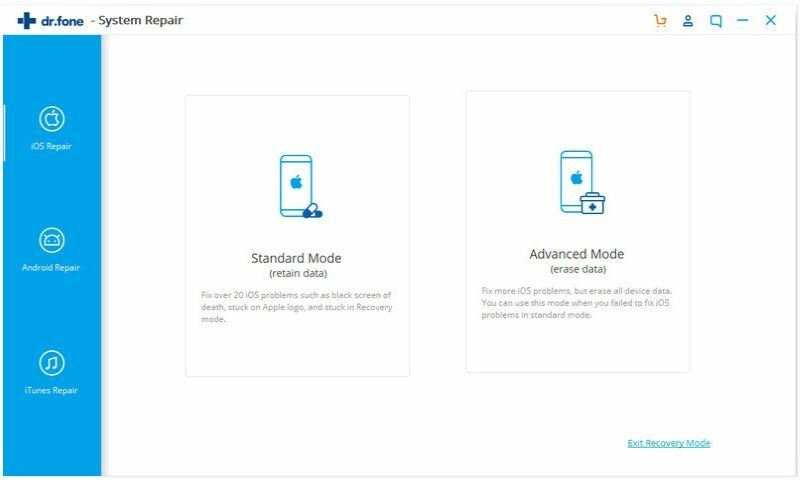 If you are looking for a reliable yet hassle-free solution to fix iPhone bricked after iOS 12 update, then give iSkysoft Toolbox - iOS System Recovery a try. It is a complete toolkit that provides various iOS related solutions. The iOS System Recovery tool can fix all the prominent issues related to your iPhone without causing any harm to it. This means you can fix iOS 12 update bricked iPhone without causing any data loss on your device. 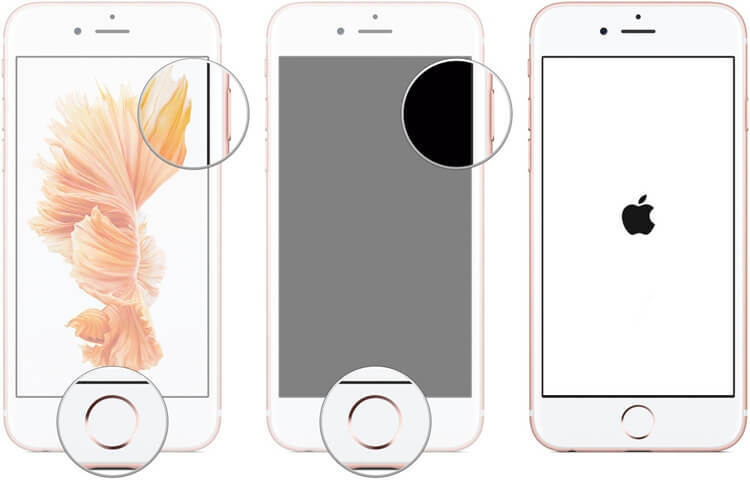 All you need to do is follow a simple click-through process to fix your bricked iOS device. 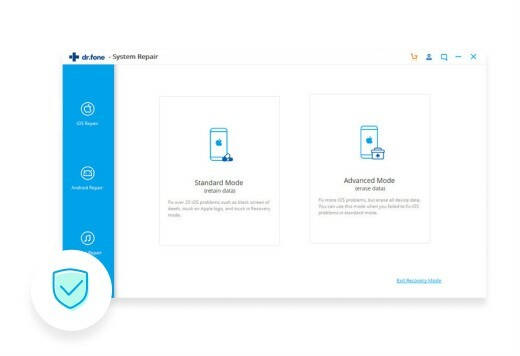 Besides that, iSkysoft Toolbox – iOS System Recovery can fix all the other common iOS issues like the black screen of death, unresponsive device, common iTunes errors, and so much more. When iOS 12 bricked my iPhone, I used the tool as well and it restarted my iPhone in the normal mode without any data loss. Here’s how you can use this reliable application as well. Fix iPhone Bricked by iOS 12 Update without Data Loss. 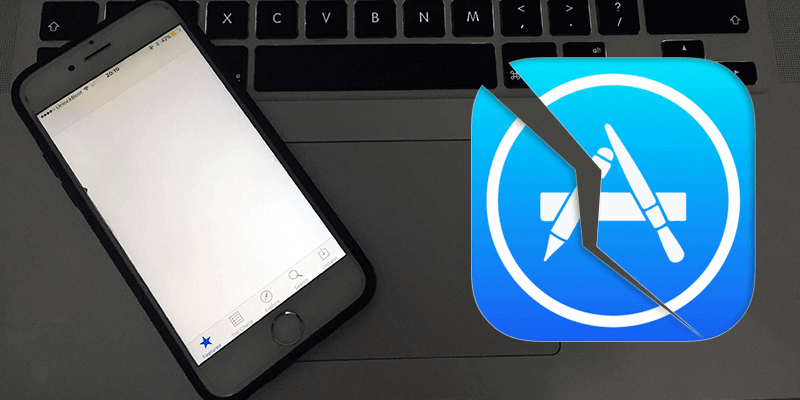 Step 1: Install iSkysoft Toolbox – iOS System Recovery on your Mac or Windows PC and launch it when your iPhone got bricked after iOS 12 update. 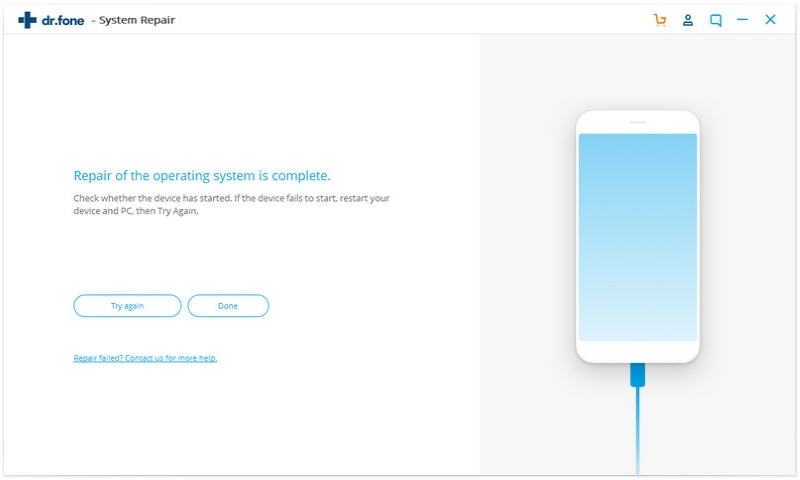 From its welcome screen, go to the “System Recovery” option. Step 2: Using an authentic lightning cable, connect your iOS device to the system and let the application detect it. Once it is done, click on the “Start” button to commence the process. 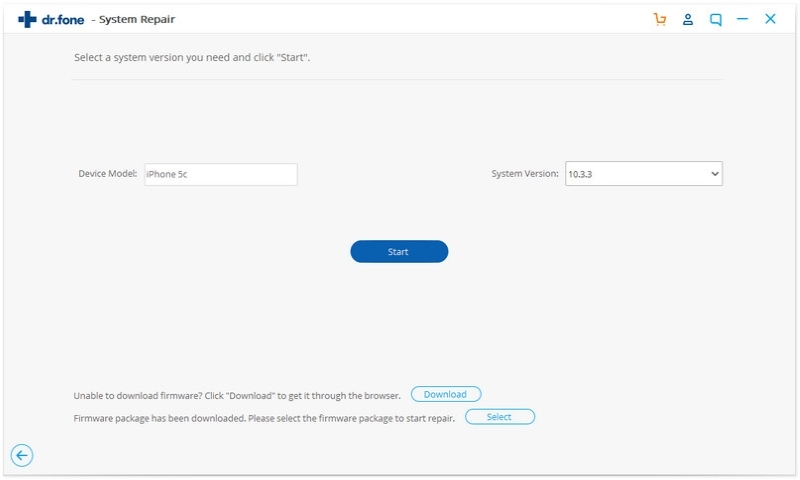 Step 3: The application will automatically detect basic details related to your device and its suitable firmware update that has to be downloaded. You can verify the information on the next window and click on the “Download” button to proceed. Step 4: Wait for a while as the application would download the relevant firmware update. 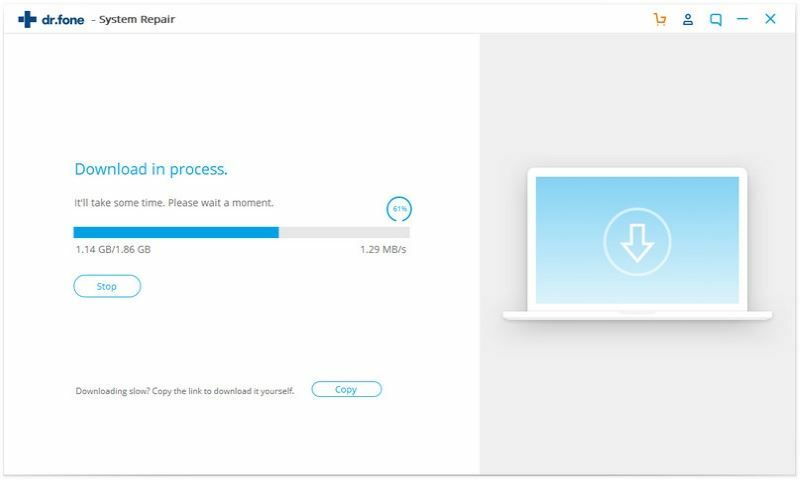 You might have to wait for a while and maintain a stable internet connection for the download to be completed. Step 5: As soon as the application would complete the downloading process, it will start repairing your phone automatically. Just wait for a while and make sure that your iOS device stays connected to the system. Step 6: In the end, your iOS device would be restarted in the normal mode. You can now safely remove the device and use it without any trouble. In this way, you would be able to fix the iOS 12 update bricks iPhone problem. Please note that the process will automatically upgrade your device to its latest firmware update. Also, if your device was jailbroken earlier, then it will be restored to its normal (non-jailbroken) version. Another way to fix iOS 12 update bricks iPhone is by using iTunes. In this technique, we will first put the device in DFU (Device Firmware Update) mode. 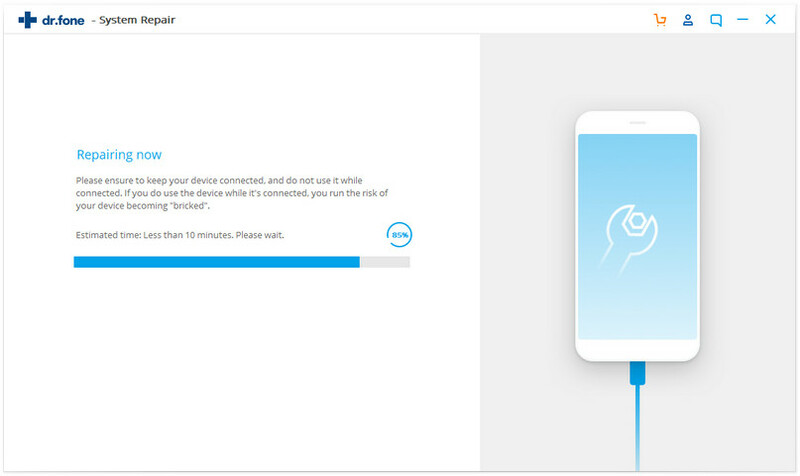 Once your device is in the DFU mode, you can connect it to iTunes and reset your device. Before you proceed, you should know that this will delete all the existing data on your device and will automatically update it to the latest available iOS version. Therefore, we would only recommend this solution if you have already taken a backup of your data. Needless to say, the process is also not as simple as iSkysoft Toolbox. To fix iPhone bricked after iOS 12 update using iTunes, the following instructions can be implemented. Connect your iPhone to the system using a lightning cable and launch an updated version of iTunes on it. If your device is still on, then turn it off. Now, press the Side button for exactly 3 seconds. Hold the Volume Down button while still holding the Side key. Keep pressing both the keys for the next 10 seconds. In case the Apple logo would appear on the screen, then restart from step 1 as you have made a mistake. Gradually, let go of the Side key. Make sure that you are still holding the Volume Down button. Keep pressing the Volume Down key for the next 5 seconds. In the end, the screen should stay black. This means your device has entered the DFU mode. Launch an updated version of iTunes on your Mac or Windows system and connect your iPhone to it. If the phone is switched on, then turn it off by holding the Power button. Long press the Power and the Volume Down keys at the same time for the next 10 seconds. If your phone restarts, then go to step 1 and try again. Now, let go of the Power button, but keep holding the Volume Down key. Press it for another 5 seconds. If you get the connect-to-iTunes symbol on the screen, then start again from step 1 as you have made a mistake. If your phone maintains a black screen, then wait for a while as it has entered the DFU mode. Launch iTunes on your Mac or Windows PC. Using a cable, connect your iPhone to it. If the device is not switched off already, then simply power it off. Press the Power and the Home key at the same time. Keep holding them for the next 10 seconds. 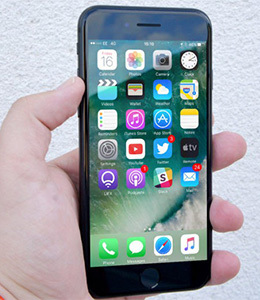 Afterward, release the Power key while still holding the Home button. Make sure you hold it for the next 5 seconds. If the device maintains a black screen in the end, then it means it has entered the DFU mode. As soon as your iOS device would enter the DFU mode, iTunes will automatically detect it and provide the following prompt. Just agree to it and follow the simple on-screen instructions. In this way, you would be able to restore your device entirely. In the end, it will be restarted in the normal mode (and with the restored factory settings). That’s it! By following these solutions, you would easily be able to fix iPhone bricked after iOS 12 update. When iOS 12 bricked my iPhone, I tried iSkysoft Toolbox - iOS System Recovery and it fixed my device in minutes. It comes with a free trial version as well so that you can experience it and be a judge of it yourself.